So Believers In Old Saying Declare: “Tommyrot” Replies Weather Bureau When Asked What It Thinks About Things. Mr. Groundhog could have seen his shadow at several different times in Edwardsville today, had he been a careful observer. It wouldn’t have been very much of a shadow, it’s true, but a shadow’s a shadow, regardless. So believers in the story about Mr. Groundhog are convinced that he will return to his burrow and that we’re in for six weeks more of winter weather. Had he failed to see the shadow, the believers assert, spring would be here immediately. While a limited area in west Missouri and east Kansas had a heavy fall of snow and no sun today, Groundhogs could see their shadows in virtually all other sections of the nation, the U.S. Weather Bureau reported. Regardless of whether the little Groundhog stays in or out of his hole, he will find his ability as a weather forecaster under heavy fire by scientists and the Weather Bureau. The only way weather can be forecast is by advance information on clouds, air currents and wind directions, the bureau says. And where’s a Groundhog to get that? Anyway the tradition is an old one originating centuries ago in Germany. 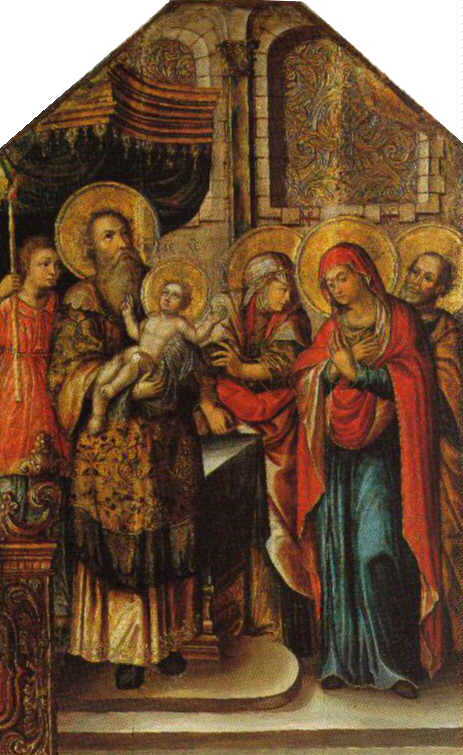 February 2 also is Candlemas Day, being the 40th day after the birth of Christ, on which, according to levitical rules, the purification of the Mother and the presentation of the Son to the church should occur. The superstition of the Badger on Candlemas Day came to America with early German pioneers. But as the Badger, even in its distinctive American variety, is little known east of the Mississippi river, the fable was transferred to the Woodchuck or Groundhog and to farmers of the middle west Candlemas Day became Groundhog day. 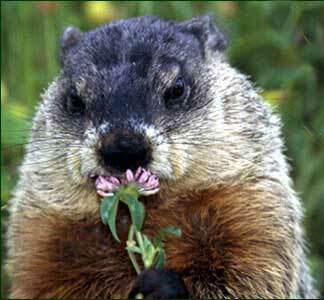 If a Woodchuck could forecast weather? 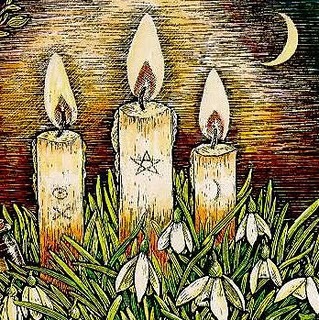 February 2, or Candlemas Day, was a favorite holiday, marked by public gayety and ceremonies in Europe during the Middle Ages. It is still marked there by the closing of banks and offices, but not otherwise, outside of the reading of Church services. In the Church Calendar it is known as the Feast of Purification of the Virgin, and was first instituted by Pope Sergios about the year 684 A.D. The popular name of the day is derived from the early custom of lighting up churches with candles and carrying these in procession on this festival. 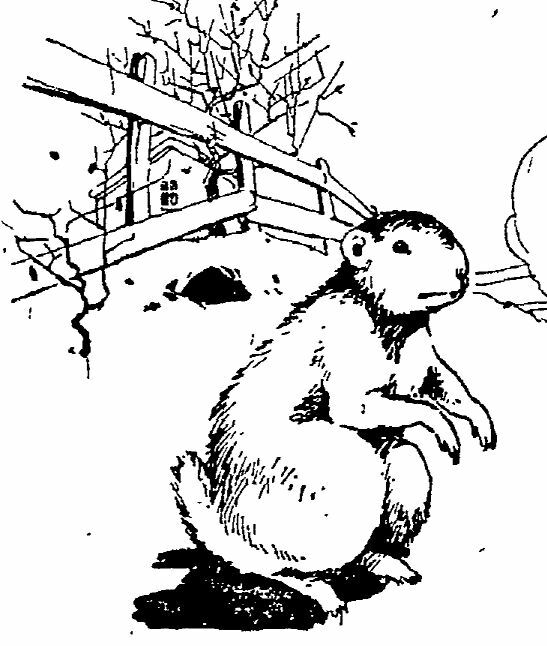 As to the weather superstition that gives to Candlemas the name of “groundhog day,” that is a world wide fable. In Germany it is the badger that breaks his winter nap on this day to essay the thankless task of weather prophecy; in France and Switzerland it is the marmot; In England the hedgehog. — The Housekeeper. Otherwise Known Throughout the Country as Ground Hog Day. February 2 is a much named day. It is Candlemas Day, Purification of the Virgin Mary, Presentation of Christ in the Temple and colloquially in England the Wives’ Feast, but the name that is possibly most familiar to us is Groundhog Day. The celebration of Candlemas is observed in the Angelican, Roman, Greek and Lutheran churches, its principal feature being the distribution of candles and a procession of lighted ones. It is more than probable that it is from this custom that the name Candlemas Day originated. Some authorities claim that the institution of hte feast antedated the manner of celebrating it, claiming that this festival was first observed in 542, during the reign of Justinan, whereas the first procession of lighted candles did not occur until the seventh century. Another authority while giving the honor of originating the celebration of the day to Justinian, says Pope Gelasius, in the latter part of the fifth century, had the first procession of lighted candles. The ceremonies of Candlemas Day in England have been very much modified since the time of the Reformation. an order of Council, passed in the second year of the reign of Edward VI., abolished the candle carrying in that country. At Rome, however, quite late in our century, the candles were blessed and distributed with much pomp and ceremony, accompanied by a great procession of ecclesiastics. Unlike the majority of weather prognostications taken, as is a usual custom, from these set days, Candlemas weather signs go by contraries. Fine weather betokens a continuance of winter and cold days, while an inclement day is a sure promise of an early spring and bright summer. Our well-known name, particularly among our rural and foreign population of Groundhog Day for the second of February, comes from an old proverb the early Germans brought to America from their Fatherland, that “the badger peeps out of his hole on Candlemas Day, and when he finds snow shining he draws back into his hole.” East of the Mississippi the badger is scarce and little known, so the farmers transferred the mantle to the woodchuck, or ground-hog. Discussion of the Weather Brings Up a Host of Recollections to Two Old Timers. — Mr. Isaac Baker and the Ground Hog Recalled. Looking around for an item and seeing quite a large crowd on the South Side, we made inquiry and found that the excitement was in relation to the ground hog. “What is ground hog day?” asked one. “Yes,” said the other, “I remember some gay sleigh rides we had with Isaac. We used to get up dancing parties and drove two, four and often six horses to a sleigh, and we didn’t care if the thermometer was away below zero, if the robes wouldn’t keep us warm we always took something along that would. We’ve had many a pleasant drive and dance in the old hospitable halls of the late Hon. Wm. Stanberry, and we always closed those festive scenes with that grand song familiar to all, “Auld Lang Syne.” I hear Isaac is still sell and hearty, in old Virginia. I would like to see the old gentleman again and talk over those happy old days,” and the old timer wiped away tears which would come at the memories conjured up, whether from happiness or sorrow, we did not know. This entry was posted on February 2, 2010 at 12:28 am and is filed under Lifestyles. You can follow any responses to this entry through the RSS 2.0 feed. You can leave a response, or trackback from your own site.